Succession planning is most often successful when leadership development activities are focused on the people with the most potential. Quite often, the people with the most potential are also the organization’s top performers. So it becomes paramount that the organization has some way to assess individual performance. This is typically achieved through a performance review process. 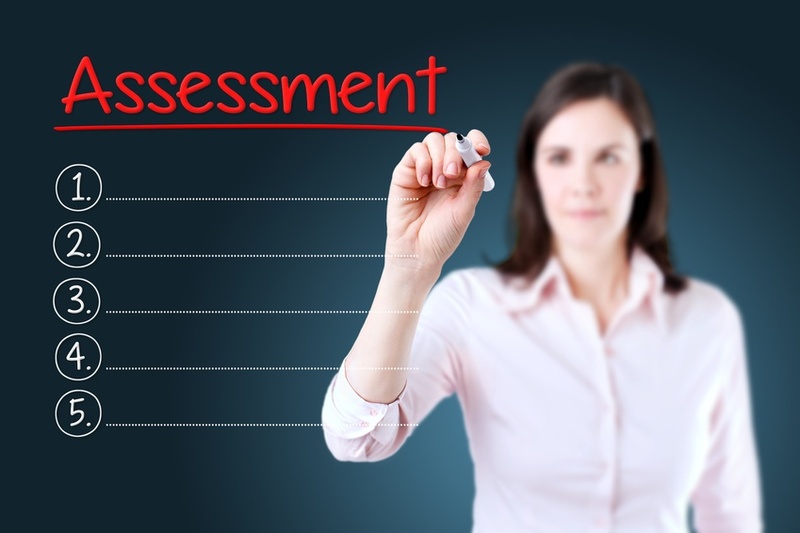 There is an endless supply of advice on how to assess employee performance. Here are five keys that the Study’s participating organizations and I have found particularly helpful. Competencies are helpful in evaluating performance and potential. While goals are an integral part of most performance review processes, they typically focus primarily on current job performance. They are helpful in assessing how well someone is doing their current job, but do not give much insight into how promotable they are. The Peter Principle refers to the tendency of organizations to promote people to their level of incompetence. This often occurs when companies promote people based solely on how well they perform in their current job, as opposed to how well they will likely perform at a higher level. The result, of course, is an organization full of managers that resemble the boss from the TV show The Office. Basing performance evaluations on competencies that reflect the corporate values can go a long way toward preventing the Peter Principle from occurring. A common complaint about the performance review process by employees is that one manager rates harder or easier than another. Managers don’t want to be using a different standard than their peers either. A performance review process that doesn’t have some way to ensure that each manager is using the same standard for evaluating their staff is bound to be plagued with complaints and will produce ratings that are effectively meaningless. The most effective way to make evaluations fair and consistent is to hold calibration meetings every time performance evaluations are made. When a company conducts formal performance reviews for more than a few dozen employees, the time spent shuffling paper around can add up to a significant cost. Performance management software streamlines paper processes and provides faster, automated reporting so that managers can keep their inboxes from getting cluttered at performance appraisal time. An automated system can also save time by facilitating electronic sign-offs. Training managers, when it comes to the ins and outs of the performance review process, know that once a year is not enough. Managers need to be regularly reminded that they must give performance feedback in the moment, and they must be taught the skills to do so effectively. New managers need this training right away, if not before they are promoted. It’s not fair to them or to their employees to let them function in a people-manager role without proper basic training. Instead of HR doing all the training, try following the Earls model and have senior managers do the management and leadership training. When Brenda Rigney joined Earls as VP of People Operations, she not only changed the name of what was traditionally known as the “HR Department,” she literally transformed its function from transactional to strategic. When it comes to performance management at Earls, the job of People Operations effectively begins and ends with training the executive team. From there, the executive team trains the next level managers, and so on. When a manager has a performance management problem, managers don’t come to People Operations for advice, they go to their boss. Brenda successfully accomplished what many HR leaders dream of, and what all HR leaders must do to bring HR out of the dark ages. She transformed the role of HR from helping to solve managers’ problems, to helping managers solve their own problems. This subtle distinction is quite possibly the sine qua non in the elusive HR transformation that business and HR leaders are earnestly in search of. If the main objective of your performance evaluation process is to make sure that managers are providing enough performance feedback to employees, then you can save everyone a lot of trouble by scrapping performance evaluations and instead just asking employees in an engagement survey if they feel they are receiving sufficient feedback. One top-performing organization that participated in the Study did just that. Managers don’t need to fill out a bunch of paperwork to know who on their team is performing. They know. (And they can validate their “gut” assessments at a calibration meeting.) If employees feel that they are receiving enough performance feedback, and that compensation and promotion decisions are fair, then there may not be a need to inflict a traditional performance review process on the organization. Instead of blindly doing performance evaluations because “everyone else is doing them,” make a list of all the reasons for doing them and then see if there is a less burdensome way of fulfilling them. Assessing performance does not need to be nearly as complicated as it has become in many companies. Unless your organization is required to have formal performance reviews, as may be the case in unionized companies or federally regulated industries, there may be a simpler way of assessing individual performance. Should you find a way to scrap traditional performance reviews in favor of a simpler way to assess performance, you are sure to find support from just about all corners of the organization. 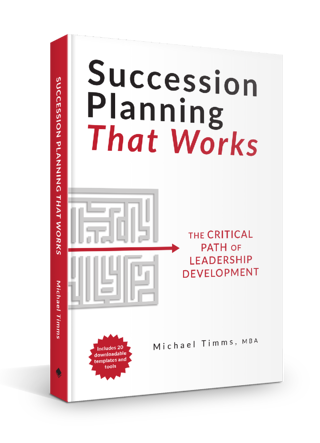 Excerpted with permission of Michael Timms, Succession Planning That Works - The Critical Path of Leadership Development, Copyright 2016 by Michael Timms. Published by Friesen Press. 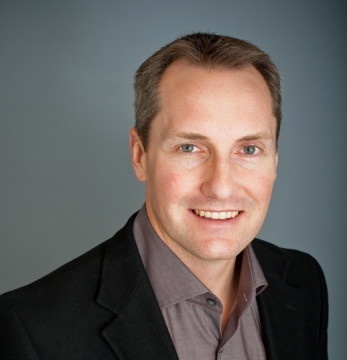 Michael Timms is a management consultant, author, and speaker specializing in organization and leadership performance. As the founder of Avail Leadership, Michael is a trusted advisor to senior executives and a partner with in-house HR professionals. He assists organizations to develop leading edge workforce strategies and provides training and advice to help them execute those strategies.